The top choice for the true traveler. Get uber organized on the go with the Lug Puddle Jumper overnight bag. 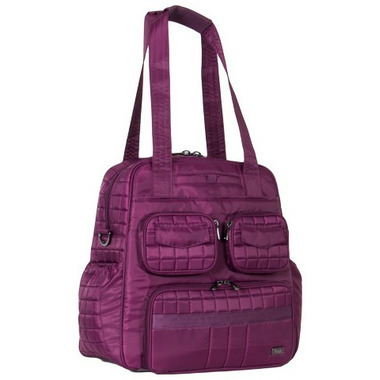 Fashion meets real function thanks to convenient carrying options and plenty of pockets--both inside and out. Thought-of-everything touches include a handy removable pouch, hidden magnetic pocket, and detachable mirror.